Kristina Tsvetanova was struck by the lag in accessible technologies for the blind, so she developed a tablet that could use cloud-based software and liquid-based tactile relief technology to communicate to users in Braille. Tsvetanova wanted to create an alternative for Braille readers to have equal access to information and technology. Current Braille keyboards are bulky and expensive, and often can only present single-line translations. But Blitlab--the tablet developed by Tsvetanova--works to make internet access straight-forward and accessible. The tablet works by having two panels, one that is voice activated for users to select an application, and a second panel with liquid-based technology that can alter the surface of the tablet to translate web pages and other information into Braille. 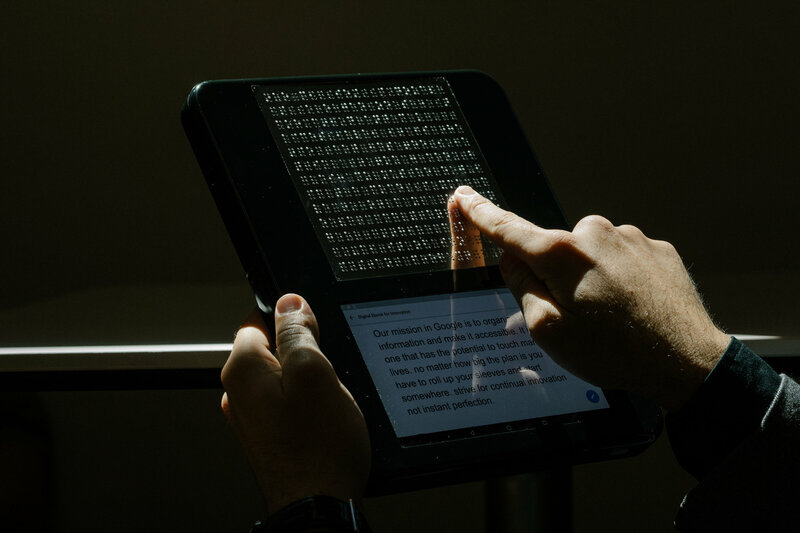 “With this tool, the blind can surf the net, connect with friends, and download books, like everyone else,” Tsvetanova told the New York Times. Tsvetanova has received significant praise from the European and American communities for her work, including being awarded the Rising Innovator award in 2017 from the European Institute of Innovation and being recognized by MIT Technology Review's Spanish Edition as one of its European Innovators Under 35. Blitlab is looking to close another round of funding this month, and plans to begin delivering orders by the end of the year.